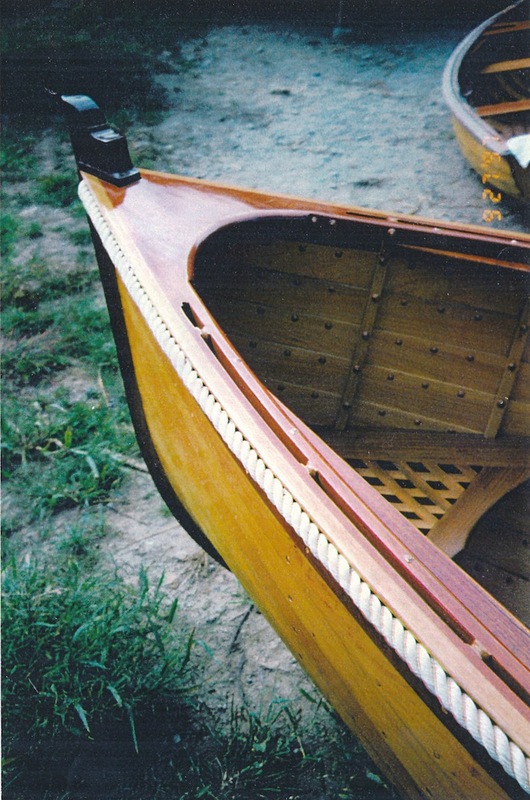 A safe, manageable, and fun lapstrake boat for kids to learn to sail and play in, this piece of sailing furniture is built of northern white cedar over steam bent white oak frames and fastened with copper rivets. 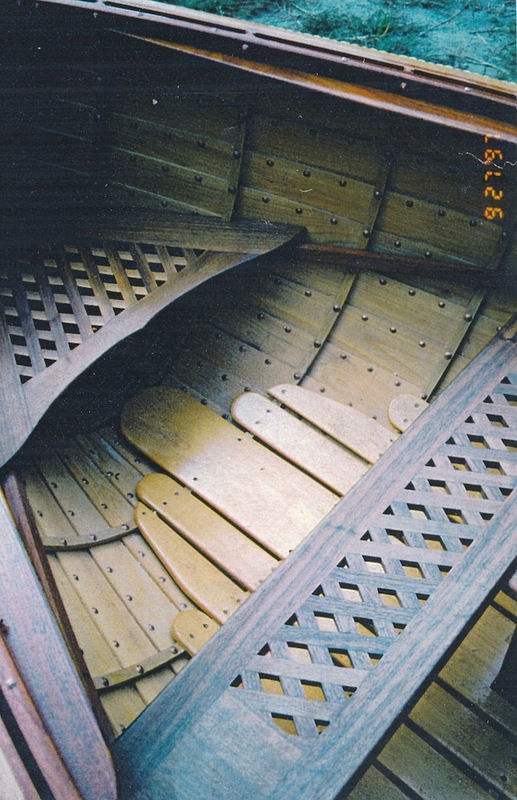 The transom and sheer planks are mahogany and the seats are diamond grated American walnut. 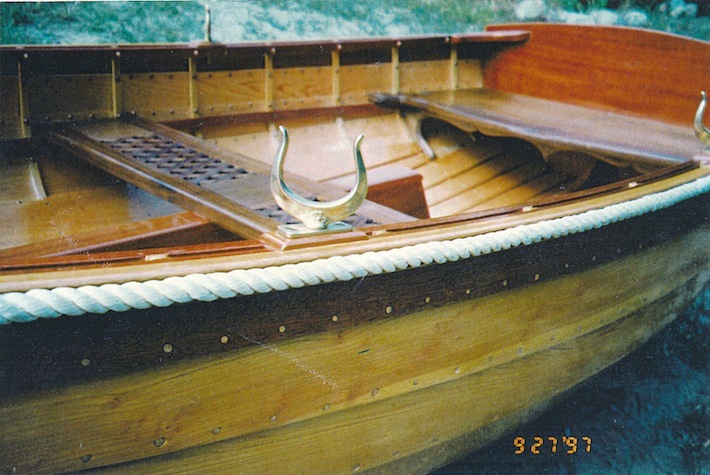 Finish is marine varnish, gloss.